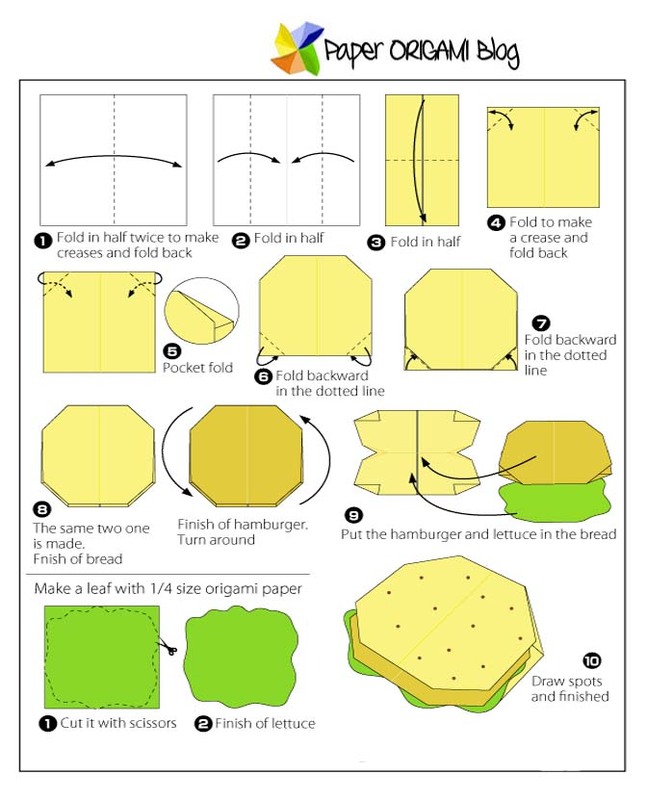 Today we are going to learn how to make origami hamburger, It's probably the most popularly known food not only in western country and also in Asia. In, the realm of origami, hamburger too, gets its place. 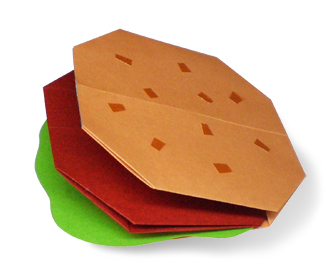 There are few hamburger origami instructions on the web, and luckily I got some of it, and wanna share it to you today. 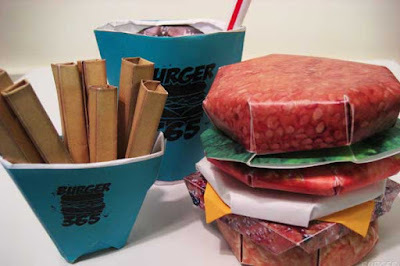 While doing some extra research I found a very complete instructions of how to make burger origami free to watch on youtube or the link below. The instruction and the video above is really enough make your own favorite hamburger food. You can do it for fun, or quench you boredom at home. 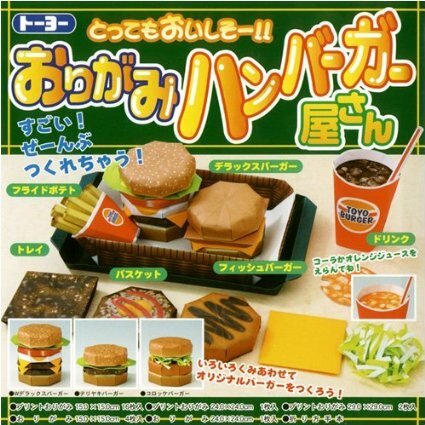 I forgot to mention that you can also order a full Origami burger instruction in amazon. I found some cheap deals if you want a complete set like the photo below.